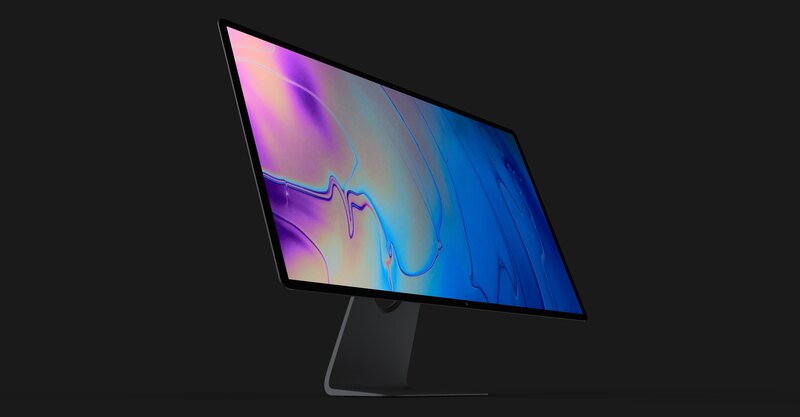 Apple will release a 31.6-inch 6K display with a Mini LED-like backlight design in 2019, according to Apple analyst Ming-Chi Kuo, who detailed his expectations for Apple's 2019 roadmap in a research note obtained by MacRumors. Kuo describes the new monitor as a "6k3k" display. Last edited by SuprPwrUsr; 04-20-2019 at 03:56 PM. It is strange that apple will release a 31.6 inch monitor. Not sure for what use. The LG 5K is already pretty decent and match the iMacs displays. At 6K it will most likely require DP 1.4 and DSC, and I expect them to lock it to TB3. Also if this will be TB3 locked, I'm not sure it will be a-sync. I remember a while back a leaked concept was attaching a full sized GPU onto the back of a high resolution monitor and allowing laptops connect to both the GPU and monitor with a single TB2/3 cable. That set up would both be modular and very apple like. I have no idea what this 6K monitor is going to be like but it's great that they're getting back into the monitor manufacturing business. the LG 5K were just a stop gap until they came out with something better and more innovative. Most likely this monitor is going to coincide with the new "modular" mac pro that's rumored to be released this year. *AMD ROME based 32C/64T, 48V/96T, 64C/128T CPU (Special variant for APPLE -something between EPYC and ThreadRipper). *Blazing fast VNMe storage on PCIe Gen4. Thunderbolt 3 PCIe Cards already working on Threadrippers motherboards with simple driver mod. afaik they only work for storage. Even if they manage to get full support for egpu etc, I wouldn't expect Intel to certify it and loose cpu sales. I am sure Apple left no choice for Intel, There is nothing that intel could provide to apple to make Much more powerful Mac Pro vs current 18C Xeon iMac Pro, so or APPLE keeps waiting for Intel until 2020/2021 for new Platform for Mac Pro and loose tone of sales for ThreadRipper/Intel HEDT PC/Hakintosh(new TR3 this year also) PC or use custom spec AMD's new 7nm ROME CPU's with 64C/128T 8CH memory, PCIe Gen4 platform at much cheaper prices and longer platform support- ready to launch this year. The question will be the deal between intel and apple. Considering intel developed TB3 for apple basically, I'm sure they locked a few things down that gives them priority or something from apple. Also while TB became royalty free, it could still be required certain aspects to be certified in order to also transfer display as well as data. So there might be bumps on the road for apple to move to full AMD. And apple don't need to wait for intel. Intel already have 22/44 chips. I do doubt a bit that they will release a 64/128 machine though, nor a rome based machine as it is meant for servers, not workstations. You are pointing out your wish list, not something realistic for apple to release. Or, one can wait and grab the same panel in a different monitor off of eBay from a much cheaper Korean brand. Or wait for it to be sold in more popular/regular monitor brands locally with warranty without Apple tax. All in all it will cost a small fortune either way the way monitor market is right now. 64C/128T if for the "Upgradability" for the long run, for first release 32C/48C will be more then enough. and TB3 - I am sure APPLE and Intel will come to some sort of agreement to pay Intel. this alone won't prevent APPLE to be stuck with Intel for eternity. APPLE will slowly gonna start replacing low power Intel parts with their own CPU/GPU (MackBook Air soon? ), while for other notebooks/iMacs/mac mini Intel will be used and Mac Pro workstation with be AMD based. This is my opinion, I hope before the end of 2019 we will see :-). Do you like current 5K scaling on windows? I got 5K monitor and Windows and many programs gave me hard time for very long, there still few scaling problems too. So I won't be thinking to run and buy 6K/8K soon. While this could be, how many 5K panels do you see on eBay on cheap monitors? Not so many. Those panels are expensive, and I expect a 31.6 inch 6K will be so as well.